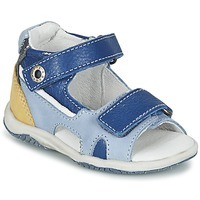 BABYBOTTE Shoes | Buy BABYBOTTE children's Shoes - Free delivery with Spartoo NET ! Babybotte, the best shoes for little feet from 0 to 3 years! In 1936, in the heart of the town of Pau, the family Bedegain created Babybotte. The brand quickly established itself as the absolute reference in the world of children's shoes and gained success due to the quality of their products. Their reputation is huge: Babybotte made their television debut in the 1960's by outfitting the famous Margote, the heroine of Manege Enchante, the famous children's program whose fans are now parents and grandparents. Their recipe for success? Expertise, technology, style trends and quality materials! An essential for parents who know how important it is to be well equipped in shoes from a very young age.